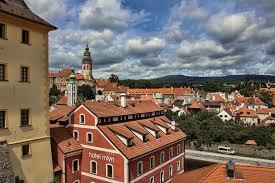 Get Cheap Car Hire at Ostrava Airport. Compare discounted SUV, MPV & Minivan rental prices in Ostrava. Good cheap car rental at Ostrava Airport in the Czech Republic can be found here. See the savings that are now on offer for cars, SUV and MPV hire in Ostrava. Pre-book Sat Nav to help you get around. You can also get your vehicle from the train station and depots in the town. See the lower than published prices from these reputable suppliers, who are based at the airport Budget, Europcar and Rentis. If prefer to collect from the town, then you can also book with Czechocar and Enterprise, as well as Rentis, whereas if arriving by train, then you will use Europcar at the train station. Free Extra Driver - Rentis include this in your rental cost, but if want car at airport a shuttle bus to depot is needed, whereas Budget and Europcar have their cars on site. Also known as Ostrava Leos Janacek Airport, this airport is open 24 hours and serves the northern region of Moravia and the Czech part of Silesia. The Ostrava Information Service is located in the public area of the Arrivals Hall and provides tourist information about this region of the Czech Republic. They also provide a currency exchange service. Unlimited mileage and free amendments are included as a matter or course. You can cancel for free within 48 hours of booking, unless last minute booking. Please return your rental car to the rental depot located in the airport car parks. Leave enough time to complete final inspection and for rental company to reverse any security deposits. Hire a saloon, or sedan, for Ostrava Airport for less. Holiday motoring at Ostrava Airport made easy. We offer cheaper vehicles in Ostrava. If travelling in a group, we can offer comfortable vans or MPV. The Ford Galaxy, for example, is capable of seating 6 or 7 passengers. Economy rentals are also available, with the smaller Ford Fiesta ideal for city driving and easy on the fuels costs. However should you like to to impress, or are on an important business trip. If going as large party why not book a a larger minivan and have them waiting at the airport. Don't forget the range of luxury vehicles, such as the BMW 3 or 5 series, with automatic transmission. 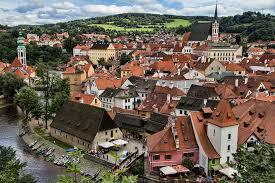 Going to Czech Republic capital? 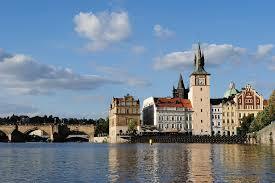 Compare discounted vehicle rental prices in Prague.